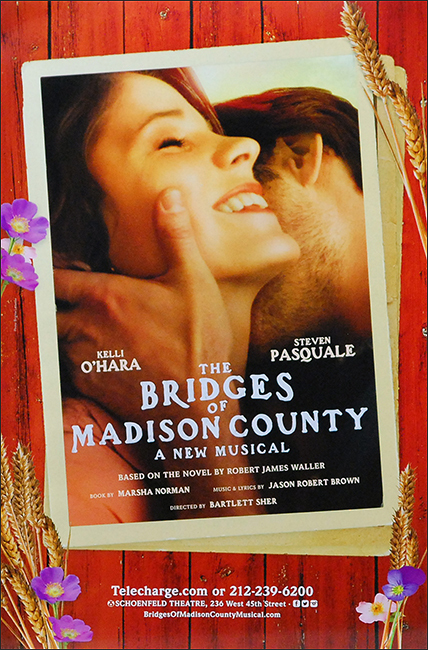 Bridges of Madison County played its last performance on May 18, 2014. A musical adaptation of the best-selling romantic novel with music and lyrics by Jason Robert Brown (Parade, The Last Five Years) and book by Marsha Norman. Robert, a photographer with National Geographic, starts a love affair with Francesca, a married woman living in Madison County, Iowa. Rush Tickets – Limited rush tickets are available at the box office on the day of the performance for $35, maximum 2 tickets per person.